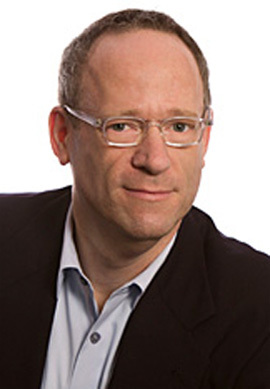 In October 2008, the Board of Directors of the Rosenberg Foundation appointed Timothy P. Silard as the Foundation’s fifth president. Since joining the foundation, Tim has led the advancement of statewide and national criminal justice reform as a core grantmaking focus. In 2011, Rosenberg joined with other funders to create an affinity group focused on criminal justice reform, Funders for Safety and Justice in California. FSJC includes the Open Society Foundations, Ford Foundation, Public Welfare Foundation, The California Endowment, The California Wellness Foundation, Sierra Health Foundation, and many others. Together with members of FSJC, Tim spearheaded the creation of Californians for Safety and Justice, a campaign designed to replace the state’s over- reliance on incarceration with common sense solutions that build safe neighborhoods, help families thrive and save public dollars. In addition, Rosenberg Foundation funded the creation of a network of county-based reentry councils around the state, supported a group of organizations working together to dismantle barriers to opportunity and restore the rights of formerly incarcerated people, and is working to address the intersection of criminal justice and immigrants’ rights. Recently, Rosenberg joined fellow funders to support bail reform and advance prosecutorial accountability in California. Under Tim’s leadership, the foundation also is resourcing innovative solutions in the areas of immigrants’ rights and integration, immigrant workers rights and civic participation. Efforts in these areas include: dramatically increasing giving to strengthen the immigrants’ rights field in California and to advance immigration reform; building the organizing and leadership capacity of California’s DREAM movement, including the launch of the California Immigrant Youth Justice Alliance, a statewide network of organizations led by undocumented immigrant youth; seeding a new agricultural product certification system that aims to mobilize retailers and consumers to improve working conditions for farmworkers while reducing food safety risks and pesticide use; and partnering with the California Civic Participation Funders Roundtable to build progressive infrastructure in San Diego, Orange, Riverside, San Bernardino and Fresno counties. In partnership with the Hellman Foundation, the Rosenberg Foundation also launched the Leading Edge Fund, a new $2 million fund created to seed, incubate and accelerate bold ideas from the next generation of progressive movement leaders in California. Tim joined the Rosenberg Foundation from the San Francisco District Attorney’s Office, where he served as Chief of Policy, developing reforms in criminal justice, civil rights and immigrants’ rights. Mr. Silard distinguished himself by launching the nation’s first civil rights division in a local prosecutor’s office; designing model reentry programs that have proven to sharply reduce recidivism; drafting and advocating for state and local legislation in the areas of human trafficking, sexual exploitation, and alternatives to incarceration; expanding access to services for immigrants and low-income families; and other public safety policy innovations. Tim also was a leader of San Francisco’s nationally replicated approach to addressing commercial sexual exploitation, which won the Ford Foundation’s Innovations in American Government Award. Tim previously served as the HOPE VI Director for the Corporation for National Service, where he served on the Community Enterprise Board and White House Urban Policy Working Group. Earlier in his career, he served as a Skadden Fellow at the Income Rights Project and Lawyers’ Committee for Civil Rights in San Francisco, and as a Peace Corps Volunteer in Togo, West Africa. Tim earned his bachelor’s degree from Brown University and his law degree from Stanford Law School. He is recognized as an expert in racial justice, sentencing reform and urban policy, and as an advocate for children and youth. He currently serves as an advisory board member for the Alliance for Safety and Justice, the Smart on Crime PAC, and the National Resource Hub for Police Reform and as the advisory board chair for Californians for Safety & Justice. He also serves on the Board of Directors for the Sargent Shriver National Center on Poverty Law. In 2016, he was appointed by then Attorney General Kamala D. Harris as a member of the California Racial and Identify Profiling Act Advisory Board. His commentary and opinions have appeared in the San Francisco Chronicle, Sacramento Bee, Huffington Post, The Advocate, The Hill and other publications.